Trucks, Tractors, Balers, Tillage Equipment, Swathers, Excavator, Feed Bunks, Loader….Etc. Most equipment has low hours and in great condition. 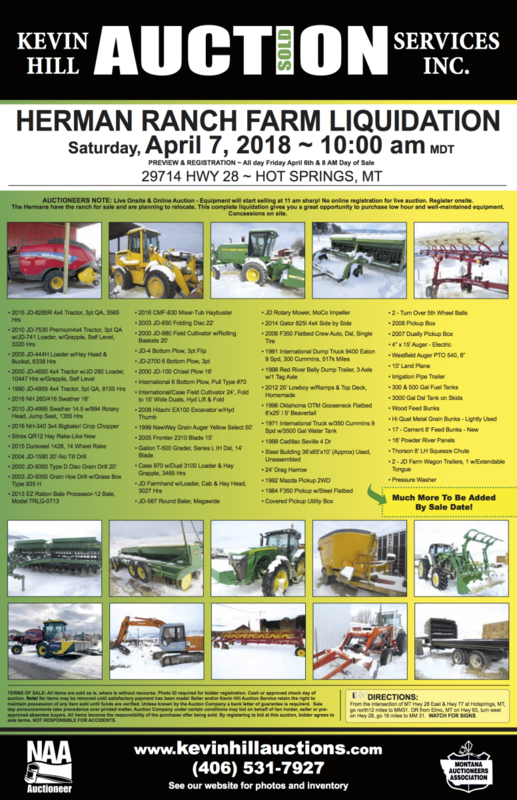 If you are looking for well maintained farm equipment this is the auction to attend!